Former President Olusegun Obasanjo has said it is unfortunate that many of the country’s leaders lack basic economic skills which he insists is one of the reasons why the country has not made much progress. He said this, yesterday, at the 15th annual leadership symposium organised by the Center for Values in Leadership (CVL) in Lagos. Obasanjo, who was the special guest of honour at the lecture, said even though he is optimistic about the country, it has become imperative that the country transitions to a popular movement, which would give the people a feeling that power is in their hands. “The three ingredients of success are leadership, governance and development. Leaders should understand the world we live in; they should not live their lives in ignorance of what is happening around them. “Any leader that wants to be successful must have a good knowledge of the economy but some of our leaders do not even understand what demand and supply, which is the most basic aspect of economics. In Nigeria, we are not there yet, but, we would be deceiving ourselves if we do not speak home truths. “What are these home truths? The first is that diversity must be acknowledged and be appreciated. We should make diversity an asset and not a liability. “The second is infrastructure and the basis of our development must be adequate provision of infrastructure. We should also be able to transition peacefully from one government to the other or one party to the other. 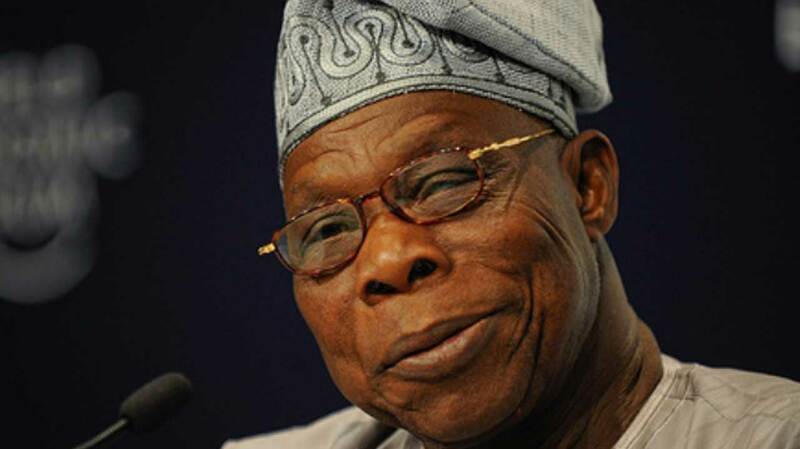 We must transition to a popular movement and give the people the feeling that power is in their hands,” Obasanjo said. The former president also added that security issues should not be emotional and, in any decision taken towards security, the changing times must be considered. When one who do not know definition and interpretation of the word “economy”, its applications based on scientific backgrounds of localities and political structured basis connections based on the local people backgrounds, is talking about economy, it is fallacy and fairy tales of sixteenth century which has no place in 21st century world of advanced humanity scientifically. Obasanjo is only looking for s hiding place in this territory of the natives, there is no hiding place for Obasanjo in this territory of the natives in the ongoing Revolution War of the natives under Disintegrated Republics of the natives. Obasanjo if the living father of the atrocities, mess, calamities etc. which befalls this territory of the natives- a generation has come to clean the ruin of this territory of the natives with the Sword in the ongoing Revolution War of the natives under the natives Disintegrated Republics- Biafra Republic of south east, Niger Delta Republic of south south, Oduduwa Republic of south west, North East Republic, North West Republic, North Central Republic, with economic cooperation and assistance etc. which secures the natives existence and future in 21st century world- education, employment, job, salary, pension, business, public infrastructures, amenities etc. God Is With Us!! !